Islamabad (Agenzia Fides) - Asia Bibi has been acquitted. 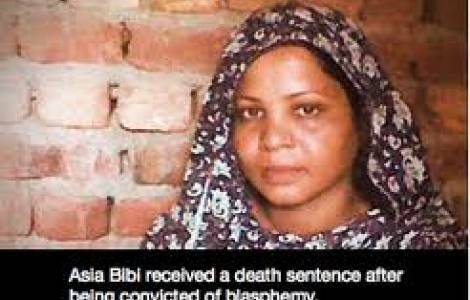 In the hearing on October 31st which began at 9 am, a three-member panel of Supreme Court justices, led by the President of the same Court, Judge Mian Saqib Nisar, declared the Christian woman condemned to death in 2010 for alleged blasphemy innocent, ordering her immediate release. This is the conclusion of a story linked to the abuse of the blasphemy law, brought up in private vendettas. "It is great news for Pakistan and the rest of the world, Asia Bibi has received justice" said Asia Bibi's lawyer, Muslim Saiful Malook. Fr. James Channan, Dominican and at the head of the "Peace Center" in Lahore, comments to Agenzia Fides: "The Court proved that Asia Bibi is innocent and freed her. She had been condemned to death because of false accusations of blasphemy. Her release is a victory for justice and the rule of law. Today we can say with satisfaction that justice prevails in Pakistan. The judges of the Supreme Court of Pakistan expressed their judgments freely and do not suffer any kind of pressure from fundamentalist and radical Islamic groups". Channan adds: "Many Christians and non-Christians all over the world prayed for the Asia’s release, while she was in prison as innocent, now the prayers have been heard: let us thank the Lord. It is necessary to say and thank human rights organizations who took the case at heart and raised their voices for justice".